Be flexible! Both dates and times can make a difference whether or not you get the restaurant you want. Lunch between 12-2:00 p.m. and dinner between 6-8:00 p.m. are the most popular. The time of the year also affects how easy it is to get a reservation. Getting a table in January will be easier than getting a table at Christmas or during times of the free Disney Dining Plan promotion. If you aren't using Disney Dining Plan you may want to consider a late breakfast or lunch. This can save you money as breakfast is cheaper than lunch and lunch cheaper than dinner. Don't give up! If you don't get the reservation you want keep trying. People change their minds and cancel all the time. Be kind and courteous to other Disney diners. Cancel unwanted requests as soon as possible and don't book more than one reservation for the same time so that you can choose when you get there. On my most recent trip more than 1/3 of Le Cellier was empty due to people not showing up for their reservation. Disney's reservation system is set up by the number of people in your party. For example, a table might not be available for a party of 2 but it might be for a party of 4. So you may want to see if it's available for a smaller or larger size. Reservations are currently available at 90 days out. 90 days + the first 10 days of your vacation for those staying at a Disney resort. However as of October 27th it will return to 180 days. To make reservations you can either call Disney at 1-407-WDW-DINE or visit the Walt Disney World website http://disneyworld.disney.go.com/dining/ to make reservations online. 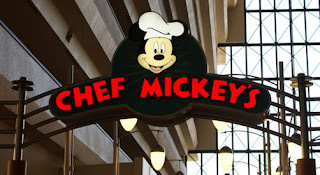 Hope these tips help you in getting the most out of your Walt Disney World dining experience.